The following is the talk between Kinefinity and Louis. How did the opportunity present itself? That’s a great question, because there are so many talented artists in the world, it’s overwhelming to even wrap my head around how to stand out from the crowd to get an opportunity like this. However, I decided not to give in to this pressure of comparing myself to others, and instead focus my energy on what I have control over, which is bettering my craft. This mindset has allowed me to constantly strive to be the best version of myself and create content that is true to me. Because of this, I feel that I bring a refreshing type of storytelling that has gained attention amongst my peers and subsequently Kinefinity. After meeting at NAB in 2017, Kinefinity has kept a close eye on my work and eventually contacted me to direct this film. 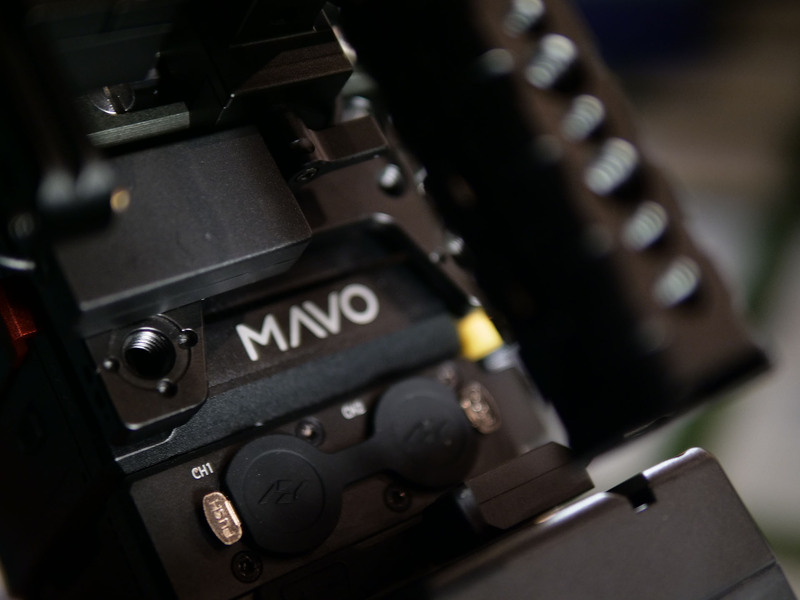 When brainstorming storylines, I began to channel the mind of a potential customer and what they would want to see from the MAVO, such as rolling shutter, low light, and of course 6K in high frame rates. With these ideas in mind, I decided to shoot the entire film in the evening, handheld, and in a style that is true to me as that’s all I can do to stay sane in this high pressure situation! With just one day for pre-production, I decided to write the story around a very talented actress/friend (Emma Engle), who I knew I could count on to deliver a memorable performance. With Emma being 14 years old at the time of production, I wanted to create a storyline that was age appropriate, yet interesting for people of all ages to watch, all while still showcasing the aforementioned features of the camera with… no budget. Typical right? In order to achieve all of this within the tight time frame, I went with my first instinct to create a love story centered around a scavenger hunt. This storyline allowed me to build some sort of connection between the audience and the characters, while showcasing the MAVO in many different scenarios. From here, I was able to solidify the rest of my talented cast (Eugene Huriev and Jose Infante via LA Casting) and utilize locations based on what I had access to. 24 hours later, it was game time! What were some obstacles that you had to overcome? To be completely honest, this entire film proved to be a very challenging, yet exciting undertaking. The camera arrived Thursday evening (March 29th) and the film needed to be completed by Tuesday (April 3rd) in time for the NAB Show 2018 to showcase not only the camera’s capabilities but also my work. It’s one thing to create content for the general public, but the thought of my peers picking apart and judging me on this film made this task even more daunting, yet oddly enticing as I knew that I can only get better if I put myself in uncomfortable situations. The internet can be a brutal place and no matter what you do, even if you are the best in your field, you can never win everyone’s opinion. Once I accepted that fact, everything started to flow naturally. Overcoming this mental challenge was the biggest obstacle for me, aside from time, money, and lack of crew of course! Another obstacle was scheduling the shoot in the evening, as the sun would set around 8:00PM. Normally this is not a big deal, but, because we had a minor on set, we could not film past midnight, leaving us with only 4 hours per day across 2 days to complete the film. The plan was to film Saturday (March 31st), take off Sunday (April 1st) to observe the Easter holiday, complete principle photography Monday (April 2nd), and then complete post production and submit on Tuesday (April 3rd). Due to this strict schedule, I adapted the storyline to be able to fit in more locations efficiently. Luckily I was able to fit in every scene I had originally planned, but it was a fight to make it work! How were you able to complete such a film with no budget? The short answer is that I used what I own/have access to and wrote a script around that. Fortunately, I have a pretty healthy inventory of gear, so I knew I was set with equipment, but supporting cast, crew, and locations were up in the air. I must say being in LA helped out tremendously, as far as finding supporting cast in such a short time frame. A few of the cast were my friends, so it was a great opportunity to get together and create something fun. Locations on the other hand remained a question mark up until the very end. The opening and closing scenes were shot at my apartment, the backyard scene was my friend’s house, and the remaining locations were discovered on the fly. The location of the bench scene wasn’t discovered until the night before “Day 2”. True story, I was leaving church that Sunday evening wondering where I could film the scene, and I stumbled upon the bench on the way to my car! I definitely believe I got some help from the big man upstairs. Another way I was able to save money on this film was by keeping the crew small and filling in most of the required roles myself. Luckily, my friend, Jeremy Gay, offered to help out on set and ended up being a crucial part of the process, as he helped move/setup lights, hold the boom pole, and even found time to take some behind the scene photos and video. I don’t prefer to film with a minimal crew, but I’ve made it a point to learn every department so that the only thing that can stop me from creating is myself. This philosophy has shaped who I am as a filmmaker and has allowed me to be an even better storyteller. How did the MAVO help tell your story? Creating this film with the MAVO was an absolute joy. With a camera capable of 6K up to 66 FPS in a body that weighs just 2lbs, I thought there would be compromises to the image, but that wasn’t the case. The pre-production model that I received didn’t have any RAW recording options at the time, so I shot the whole film in 6K ProRes HQ. I was a little concerned at first because I wanted the flexibility of RAW since I was not 100% familiar with the camera. However, after doing a few tests, I was blown away at the aesthetics and texture of the image! During my tests, I found that at ISO 1600 the image was very clean, so I decided to shoot about 98% of the film at ISO 1600 to fill the shadows for the exterior scenes. The rolling shutter artifacts also proved to be well controlled from my tests, so when it came to production day, I had absolutely no worries when handholding my shots. With a camera that weighs as much as a DSLR but with resolution and image quality that rivals it’s bigger more expensive counterparts, the MAVO took the focus off the technology and allowed me focus my energy on the story and execution. What other gear did you use on this production? I shot the entire film with just the Sigma Art 18-35mm f/1.8. 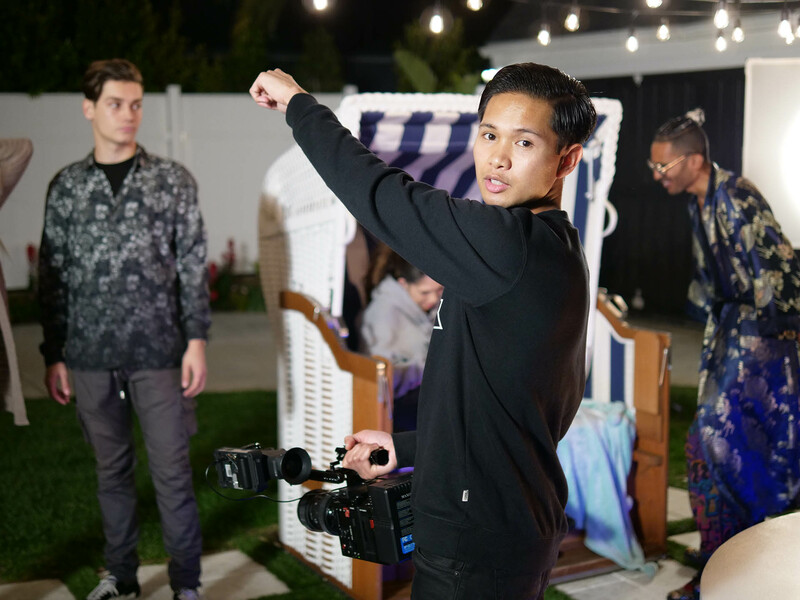 For lighting, I used 2x Westcott Skylux’s in the bedroom along with Philips Hue lights in the practicals, 2x Rayzr 7’s for the backyard scene, 1x Aputure 120D for the street scenes/bench, and 3x Aputure M9’s for the car interior scenes. 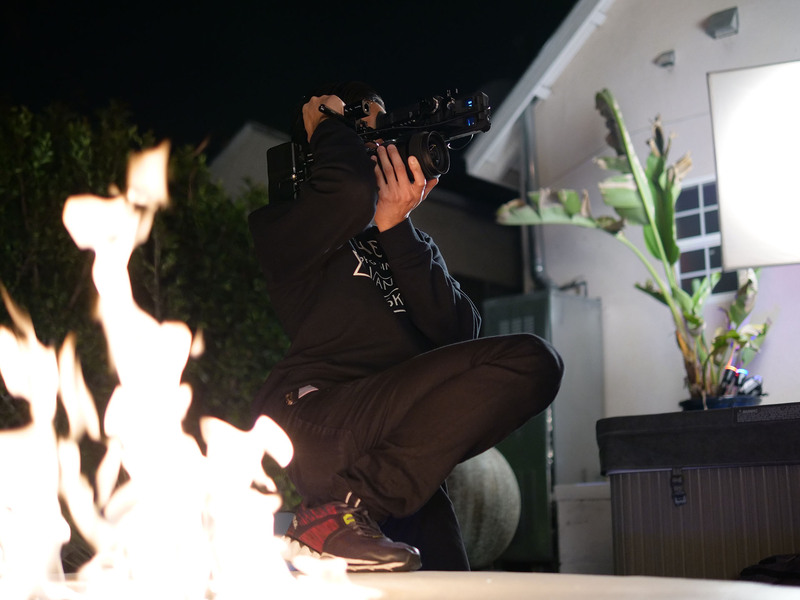 The opening and drive-by dolly shots were achieved using a Rhino Evo slider with Motion motor. Where there any unusual techniques used on this project? Yes actually there were! If you notice on the wide shot of the boyfriend introduction scene, he is leaning on a mid-engine 2-seater car, yet when we cut to the car interior, the camera is coming from behind the front seats. That is because for the car interior scenes, I switched to a 4 seater car so I could film from the back to get those shots. Another unusual technique was that I mounted a v-mount powered Aputure 120d with a china ball modifier on a boom pole and had Jeremy follow the talent to light them while out on the street. This allowed me to get enough kick in the tracking shots to compliment the street lights. This last technique isn’t exactly unusual, but I wanted to sprinkle in at least one easter egg. In the “take a selfie with a celebrity” scene, the girl playing the celebrity is actually America’s Next Top Modelwinner India Gants, so I hope fans of the show got a kick out of that little cameo. I completed the editing, sound design/mixing, and color grading all in Davinci Resolve. I absolutely love the art of storytelling, so I make it a point to handle the post production on shoots that I direct. I believe this is the purest form of storytelling, as the same mind leads the story from start to finish. Despite the limited time, resources, and uncertainty, I can easily say I enjoyed every single second creating this film. From the moment I received the camera to when I exported the final cut, I was smiling ear to ear. What more could I ask for? This entry was posted in Shot on MAVO. Bookmark the permalink.